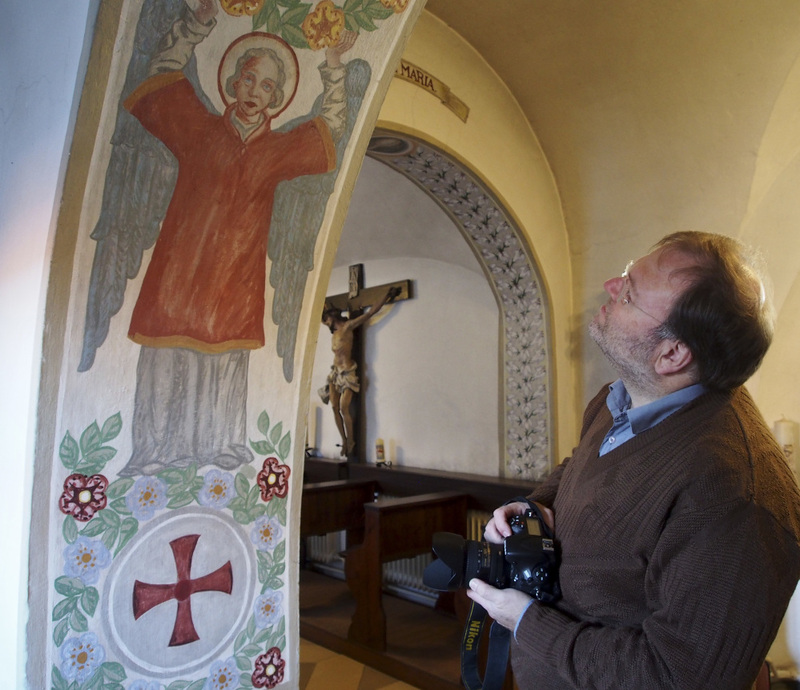 Historian Volker Schier views a mural in the abbey in Altomuenster, Germany. He estimates that the abbey's library holds around 80 percent of the order's books. 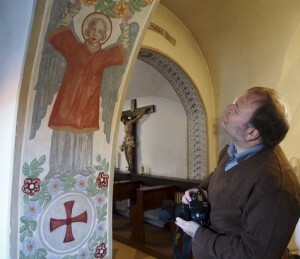 Historian Volker Schier views a mural in the abbey in Altomuenster, Germany. He estimates that the abbey’s library holds around 80 percent of the order’s books.